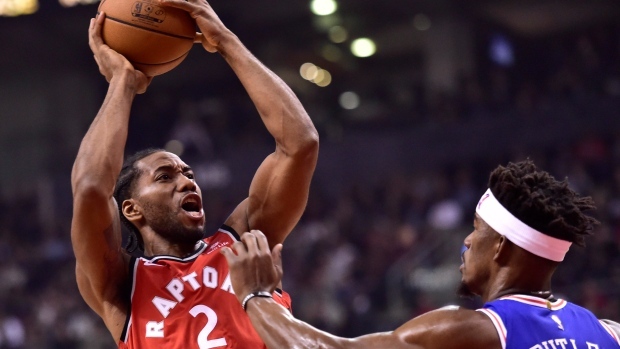 When the Toronto Raptors acquired Kawhi Leonard from the San Antonio Spurs in July, there were legitimate concerns as to how effective Leonard would be. A two-time NBA All-Star, questions about his health swirled as Leonard played only nine games during in 2017-18 due to a quad injury. It’s safe to say that Leonard has silenced any doubts with his play this season. Leonard is on track in his first year with the Raptors to best his career-highs in multiple statistical categories he previously set with the Spurs. Since the beginning of 2018-19, there has been a notable difference in Leonard’s production. In the first 10 games of the season, he was averaging 24 points per game. That number has since risen to 28.2 in games 11-20. His field goal percentage has jumped from 46 per cent to 51 per cent. He averaged 7.7 rebounds per game in the first 10 games before climbing to 9.4 in the last 10 games. Notably, Leonard’s minutes are also up almost four more minutes per game, from 32.6 to 36.2. Leonard’s best seasons in San Antonio were the back-to-back years he was named an NBA All-Star in 2015-16 and 2016-17. Now 20 games into the current season, Leonard is on pace to better his All-Star numbers in many categories. He’s currently making 9.3 field goals per game, which bests his previous career-high of 8.6, set in 2016-17. His two-point field goals made per game stats are up from 6.6 in 2016-17 to 7.6 this season. Leonard’s defensive rebounds per game have jumped from his previous high of 5.9 in 2014-15 to 7.3 this season. His 1.3 offensive rebounds this season match his 2014-15 and 2015-16 averages. Overall, his total rebounds per game are currently at 8.6 this season, compared to his previous career high of 7.2. His 2.9 assists per game this season are the second best of his career, with his career-high of 3.5 coming in at 3.5. Points wise, Leonard is averaging 26.1 per game, besting his previous best marks of 25.5 (2016-17) and 21.2 (2015-16). He’s averaging 29.6 points and 9.1 rebounds over his last seven games to help the Raptors to a 6-1 record. The Raptors continue to sit atop the NBA standings and are the only team with more than 20 wins. Leonard won a NBA title in 2014 with the Spurs and was named playoff MVP that same year. With the way Leonard is playing this season, he is a legitimate MVP candidate. Leonard and the Raptors take the court next on Dec. 7 against the Brooklyn Nets.